Windsor Homes was established in 1991 with a mission of commitment to customer satisfaction, quality construction, and innovative design. With over 30 years of homebuilding experience, the Windsor Homes management team is dedicated to making buying a home with us a true pleasure. We take pride in creating homes that are beautiful to look at and comfortable to live in. In 1996, Windsor Homes’ parent company, the Skorburg Company, broadened the home building business by developing single family subdivisions throughout the DFW Metroplex. Windsor Homes has created over 27 communities throughout 17 DFW markets including Dallas Business Journal’s finalist for 2008 “Best Single Family Residential Real Estate Deal”, Stone Creek Estates in Rockwall, Texas. Windsor Homes builds in some of DFW’s top cities that include Allen, Rockwall, McKinney, Frisco, Wylie, Southlake, Keller, Colleyville, and Mansfield with several other communities coming soon. I looked for over a year at different builders. 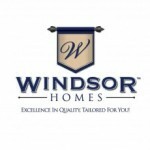 I am glad I found Windsor Homes, Tim Sheridan and Newell! I would do it all over again with you guys! Michael did a great job! Very pleased with his service & follow through. Quality of home is excellent, very happy with sales team and Michael taking care of us. Thanks for everything. Both Jim & Tom had a great attitude and very professional work ethics.